Anderson Speedway prepares for first Thursday Night Sprint Race - Anderson, Indiana Speedway - Home to the World's Fastest High-Banked Quarter Mile Oval! 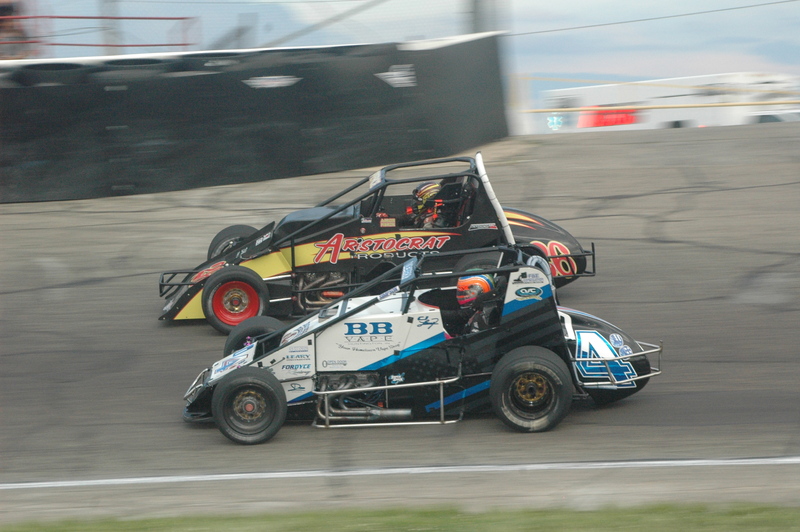 Pavement non-wing sprint car racing continues to gain momentum at Anderson Speedway. Early in the off-season, Anderson Speedway officials announced they would be expanding their non-wing sprint car schedule by adding three pavement sprint car races on Thursday Nights. Thursday Night racing quickly became a popular choice and a three-race schedule was announced. The first of the those being June 21st. The following two races will be August 2nd, and September 6th the week of the Brickyard 400. An entry list for June 21 has been published with three past Pay Less Little 500 presented by UAW-GM winners. Those winners being Kody Swanson (2016 and 2018), Brian Tyler (2016 and 2012), and Kyle Hamilton (2017). Also joining the field is track record holder and multi-time Glen Niebel Classic winner Aaron Pierce. This will be the first Thursday Night Sprint Car race in Anderson Speedway history. Weekday racing is not a new concept at Anderson Speedway. In the late 1960’s, American Speed Association (ASA) founder Rex Robbins started renting the track from then owner Joe Helpling. During the summer on Wednesday nights he would run Sprint Cars one week and Late Models the next. After 1976, Robbins as a member of Trackside Associates would buy Anderson Speedway. In more recent times United States Auto Club (USAC) ran a Wednesday night race, for many years the week of the Little 500. Anderson Speedway has partnered with Speedshift TV to bring the races right to your living room. The race can be purchased via pay-per-view online at speedshifttv.com. They will show the entire evening live from qualifying all the way through the final checkered flag. Tickets will be sold the day of the race and all seating is general admission. Tickets are $15 for adults, Kids (6-12) – $4 and ages 5 and under are free. Pit Gates Open at 3:00pm, Front Gates Open at 4:00pm, and Racing Beginning at 7:00pm.